The most high tech equipment on your farm may not be electronic. 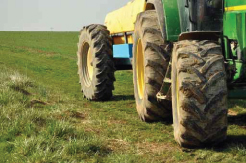 Farming has kept up with today’s technology, and your tires are no exception. Boost the efficiency of your farm with the help of the experts at OK Tire. 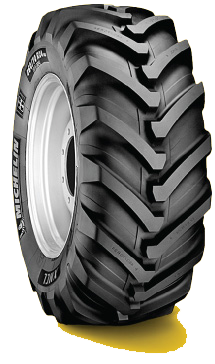 Since 1993 we’ve offered a wide range of tires suited to every size of operation – including yours. With today’s larger equipment and ever rising fuel costs, you need a team of agricultural tire experts that is at the top of their game. Horse power, weight, tire size and front wheel assist ratio all play key points in the productivity of your tractor. Of course, this changes due to the work at any given time. 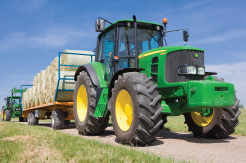 We are pleased to offer Tractor Performance Testing, which will show what needs to be done to get your tractor performing at its peak for various work loads. This translates into lower fuel costs, less compaction, less wear and tear on the tires and machinery, and helps lower your overall operating costs. 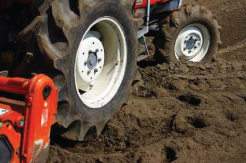 We offer original equipment and custom wheel packages for all types, makes and models of farm equipment, including an ever changing selection of used and take off tires and wheels. We are an Unverferth Wheel dealer, which gives us access to all sorts of original equipment, antique and custom wheels for almost any application. Duals, triples, or large singles? No problem! We can design a package that’s right for you. We offer 24 hr. farm and highway service to all, including those not so local. If you need it, we can help! We would love to hear from you! Honestly!